Since 1999, Air Solutions has provided dependable service and quality products to our Orange County and Los Angeles customers. Our technicians are experts, not salesman! Today we are the premier installer of both commercial and residential heating and cooling products. We design and install custom comfort systems and provide full range of services from quality repairs to complete installations. Every customer's individual needs are important to us at Air Solutions. Our focus of providing heating, air conditioning and indoor air quality services combined with world class personnel has made us the first choice of many residential and commercial clients nationwide. You can count on us to take care of your heating, air conditioning and indoor air quality needs - day or night with never an overtime charge. 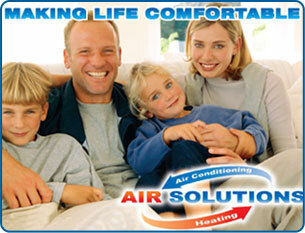 When you invite Air Solutions into your home, you will communicate to highly trained technicians. We enjoy our work and it shows! We look forward to welcoming you as a customer and being your preferred source for heating, air conditioning and indoor air quality service in the future. Please give us a call 714-863-3433 or 949.689.3817 you can email us at services@ocairsolutions.com and we will get back to you asap. OC Air Conditioning Contractor | 949.354.4328 (HEAT) © 2012 all rights reserved.